Discover the translation that presents the heart of God's word, the power and the passion, with this New Testament from the trusted Passion Translation. The Passion New Testament (Slate Edition) by Brian Simmons was published by Broadstreet in October 2017 and is our 16968th best seller. 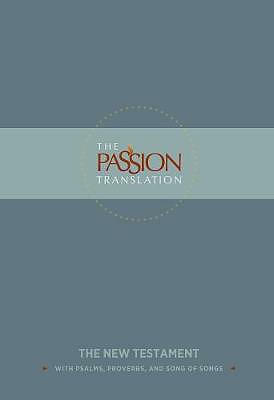 The ISBN for The Passion New Testament (Slate Edition) is 9781424555864. Be the first to review The Passion New Testament (Slate Edition)! Got a question? No problem! Just click here to ask us about The Passion New Testament (Slate Edition).